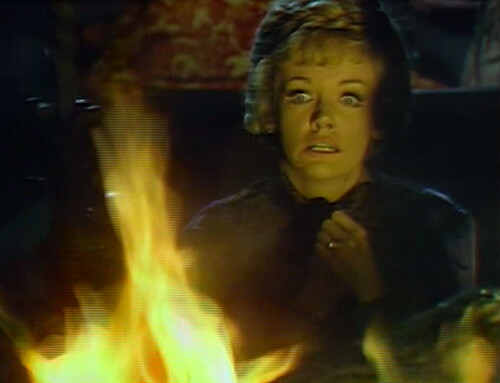 I mean, this is the kind of thing that makes you wonder about Dark Shadows’ commitment to naturalistic drama. Quentin poured sand in the urn yesterday, quenching the fire and killing Laura, or at least that’s what they promised. I mean, are we to understand that Laura is currently stumbling around on the lawn when there isn’t an eternally piping-hot ashtray nearby? What kind of sense would that make? Actually, it would be kind of funny if it turned out that she wasn’t a supernatural creature at all; she’s just high-strung. I bet that happens all the time. In response, Ra sent her this magical flaming urn filled with the gift of life, with every intention of filling her veins with fire, and then she goes and lets Quentin pour sand on it. This is why you never see Sun Gods laughing; it’s just one headache after another. But I guess there’s an emergency backup plan, which involves attaching yourself to a passing servant and sucking the heat out of his body, so she nabs Dirk, the Collinwood caretaker, and gets to work. And Dirk kind of rolls his eyes, thinking, Yeah, of course you’re cold. It’s April, and you live in Maine. Go inside. “Mrs. Collins, I don’t know what you’re talking about,” Dirk says, in unison with everybody in the audience. So I call no way; this is just moving the goalposts. Angelique told Quentin that if the flame was snuffed out, Laura would expire. She didn’t mention any loopholes like this. Laura is clearly snagging on to any passing dude because she is a drunk girl at a frat party. If this is the behavior of a dying fire demon, then every college kid in the world must have an urn somewhere. So I think the question — besides what the hell are they even talking about — is, where does this come from? I don’t know anything that connects Egyptian urns to eternal flames or sun gods or phoenixes. Where do people get these ideas? Besides Mummy movies, I mean. It turns out that pretty much everything in pop culture that involves mummies is the product of narrative collision, smashing together some unrelated stories to make something new and unexpected. In ancient Egypt, they didn’t believe that mummies would rise from the slab and walk around strangling people. Mummification was a religious ritual, to prepare a body for the soul’s trip through the afterlife. The idea of mummies as monsters actually comes from a collision with Frankenstein. The first horror story about walking mummies was an 1827 book by Jane Loudon called The Mummy! : Or a Tale of the Twenty-Second Century. This story was inspired by Mary Shelley’s 1818 novel Frankenstein, and by inspired I mean it’s basically the same thing but with balloons. In The Mummy! there’s a mad scientist named Dr. Entwerfen who decides he can revive a mummy by shocking him back to life with a galvanized battery, so he travels from England to Egypt with his friend Edric to break into the tomb of Cheops and try it out. The book takes place in 2126, so they travel there in a hot air balloon, obviously. The experiment works, and Cheops is brought to life. The naughty mummy leaves the pyramid and hijacks Entwerfen’s balloon, obviously, and then he flies to England. The balloon lands on the Queen and kills her, and then I’m not sure what happens after that, because there are no documented cases in history of anyone ever finishing the book. In 1907, Bram Stoker got involved, writing a book called The Jewel of Seven Stars, which is about an Egyptian queen with seven fingers on one hand who the archeologists bring to life by positioning some lamps in the right way and then reuniting her with her spirit, which is stored inside a mummified cat. Bram Stoker had a lot of interesting ideas. And then in 1922, archeologist Howard Carter discovered the tomb of King Tutankhamun, the most perfectly preserved pharoah’s crypt, which was a huge news story and stirred up the interest in Egypt and mummies like never before. Fed on a steady diet of stories about hot air balloons and mummfied cats, the public decided that something terribly spooky was going to happen as a result of opening Tutankham’s tomb. So a rumor spread about the terrible Curse of the Pharoahs, striking down all the members of the expedition over the course of the next thirty-nine years. The best part of this story is that it begins with a cobra coming into Howard Carter’s house at the moment that he opened the tomb, and eating his pet canary. None of this has anything to do with Laura or today’s episode, by the way. But I spent a lot of time looking up goofy mummy facts this week, trying to find some connection between these stories and magical fire urns, which I didn’t. Still, if I don’t tell you about this stuff then I’ve basically wasted a whole week on this, so you’re getting it anyway. The thing that I find interesting about these mummy stories is that they presume that the gods of ancient Egypt are real, and still have power in the modern day. I guess when the future archeologists in the year 4015 discover the secret room in the Collins family mausoleum, then the Great God Jesus Christ will make a vampire rise from his coffin and kill Howard Carter’s canary. Oh, and Laura hasn’t died yet btw, quelle surprise. Now she’s sitting by the fire in her bedroom, calling on the most powerful God in somebody else’s religion to spare the life of a rich white woman from New England. She’s still yelling at the dude, which if it was going to work you’d think it would have happened by now. “Hear me, master, bearer of warmth and fire! I cannot die now! I’ve not finished what I came here to do!” This is in reference to her plan to immolate both of her rich white children, so they can all ascend to the skies in a hot-air balloon. Ra does not appear to be amused, and she feels a cold wind rushing through her. But then she has another bright idea. “Appear to me in human form!” she cries, referring to Dirk. “Through him, you can appear to me, and help me! I beg you — possess him, and answer my plea!” And that offer is apparently irresistible to the guy who rules the sky, the earth and the underworld. He must have wanted to get inside Dirk this whole time, and was just waiting for an invitation. So I think what’s going on here is that Diana Millay called Dan Curtis, and said she wanted to come back on the show. Dan was very loyal to the people in his cast, so he tells the writers to bring Laura back. And the writers say, okay, what do we do with this? We’re currently in the middle of, like, six different storylines. We’ve still got Mad Jenny cooped up in the basement somewhere. It’s the kind of thing that would make Sam Hall crawl under a coffee table and say that he’s in China today. So without much to go on, they just start grabbing things from pop culture to fill in the gaps. Dirk gets possessed by a Sun God, and starts saying a make-believe Egyptian phrase that I’m not sure I can transcribe properly. I’m not sure what that first phrase is supposed to be, but “Amen-Ra” sounds familiar, thanks to my goofy mummy research. There’s a God from ancient Thebes named Amun who was combined with Ra, because in ancient Egypt they did narrative collision too. So you remember King Tuhankhamun? 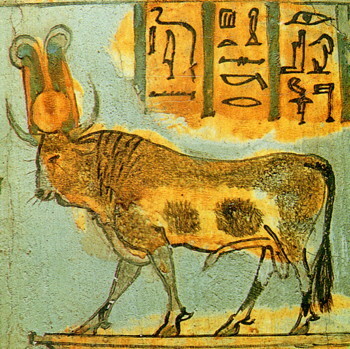 His name means “Living Image of Amun”. He actually changed it from Tutankhaten (“Living Image of Aten”) when he ended the worship of Aten and restored Amun to supremacy, moving the capitol from Akhetaten to Thebes. He was 12 years old at the time; I guess teenagers have always been kind of a problem. But Dirk clearly says “Amen” rather than “Amun”, so this is probably a reference to a whole other goofy mummy story — the legend of the Unlucky Mummy. It starts with a coffin lid that was donated to the British Museum in 1889, and identified as belonging to a priestess of Amen-Ra. According to an urban legend spread by lunatics, the mummy (not actually a mummy) of Princess Amen-Ra (not actually a princess) was purchased by a journalist (it’s still in the British Museum) and brought on board the Titanic, and the curse (there isn’t a curse associated with this mummy, which is actually a coffin lid) sank the HMS Titanic. This is just as good an explanation for the sinking of the Titanic as any, except I guess for the one about the iceberg. So Amen-Ra (probably the god, not the make-believe princess) is now inhabiting Dirk Wilkins, the Collinwood groundskeeper, so that he can revive his new girlfriend. The idea of Amun-Ra (or possibly Atum-Ra) being inside someone isn’t new either, although in ancient Egypt, the God would inhabit a black bull called Mnevis (or possibly Mer-wer or Mnewer). The priests would find a completely black bull and bring it inside the temple, where it was worshipped, and used to predict the future. When the bull died, they’d go and get another one. If they couldn’t find a completely black bull, then they’d get a completely white bull, which was just as good. Honestly, the more you learn about ancient Egypt, the sillier it gets. So that’s what’s going on here, apparently. Dirk is the new Mnevis. He brings Laura back to full power, and then she just goes on with the plan to kill her children. Thanks a lot, Great Sun God; so nice of you to drop by. At the start of act 2, after Laura tells Dirk, “You’re going to be the one!” the camera suddenly pulls back too far, showing the studio lights for a moment. The boom mic can be seen when Dirk brings Laura into the Collinwood foyer. When Judith closes the drawing room doors to speak to Dirk, there’s the sound of a chair scraping across the floor. When Laura approaches the fire in her room to plead with Ra, you can hear people walking around in the studio. There’s yellow blocking tape on the floor next to Laura’s unconscious body. After I wrote this post, my friend Andrew Leal pointed out that there’s an 1867 H. Rider Haggard adventure novel called She: A History of Adventure, which was adapted for a 1965 movie starring Ursula Andress. “Ancient Egyptian queen (now ruling over a small group of natives, with of course some acolytes and priests) is immortal after passing through the “Pillar of Fire.” an expedition finds her, and one young archeologist resembles her lover from thousands of years before, so he’s her male Josette. She convinces him to join her in the fire and immortality, he’s not sure it’s safe. To prove it, she walks through again…. undoing the effects, aging years in seconds, and dies, telling him not to forget her. The end. You can see the trailer below. It does look a lot like Laura: The Motion Picture. The comic book panel above is from Gold Key’s Dark Shadows comic book, issue #6: “Awake to Evil”. This 1970 comic also includes a werewolf attack, angry villagers with torches, and a woman shrieking EEEEE. The Gold Key comics are available digitally through the Comixology app. Volume 1 of The Complete Series has the first 7 issues, and is entirely bonkers. Rewatching these episodes, it seems like there was a plan for the absent Mrs. Collins. There’s the clever twist that the crazy woman in the attic is not Edward’s wife but Quentin’s, and this doesn’t seem like a last minute decision. There’s dialogue that feels deliberately crafted to be misleading without giving anything away. So did they just roll those plans up into Millay’s Laura Collins? I think making her some undefined Egyptian fire monster is a misstep. 1897 has done so well with having very human villains with very human motivations: Quentin and now Trask. They’re far more compelling, and I would have preferred that we’d gotten a Mrs. Collins along those lines. I wouldn’t have even minded if Mrs. Collins was into the black magic rituals Quentin and Evan performed (especially since they are played as a “secret vice” that otherwise respectable wealthy people have — kind of like a 19th Century EYES WIDE SHUT). Unfortunately, that would make Mrs. Collins too close to the Angelique of 1795 or even 1970 PT. Then again, I like that more grounded version of the Collins family witch — you know, someone who hasn’t been killed a couple times already and is literally summoned from hell. Maybe they figured if Diana Millay was coming back, they might as well drag out those old Phoenix special effects and use ’em. I agree that making her a fire demon repeat wasn’t the best use of DS air time – but then maybe they didn’t feel like they could depend on DM’s acting skills alone to carry a straight “human” performance. Also, maybe they didn’t have the time or inclination to come up with something new for her to do. The Gold Key DS comics were so much fun. I always wondered why they didn’t incorporate more characters from the series – but the artwork was surprisingly moody for the ’70s and the stories, while off the rails, were far superior to the Marilyn Hall gothic gibberish paperbacks. This is the first time that I’m reading them, thanks to ComiXology — they were too expensive and hard to find before. I like them way more than I thought I would. 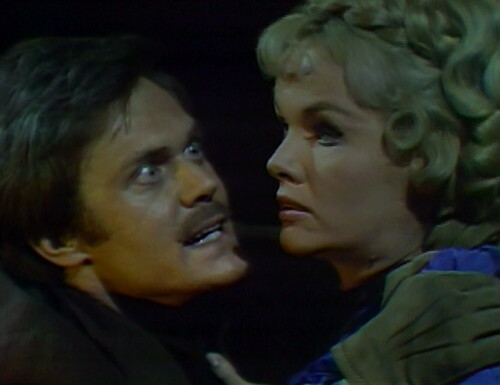 They’re insane and ridiculous, of course, and I enjoy making fun of them, but they’re constantly surprising, and that’s what Dark Shadows is supposed to be. I can’t say I blame the comic writers for getting confused about Roger and Liz. Too bad Dirk didn’t stay possessed by Ra. It would have been fun watching Quentin and Barnabas dealing with him – “I am RA! Worship ME!” Miss Judith could have gotten a crush on Ra instead of Trask. While Stoker’s “The Jewel of Seven Stars” is far less well known than his “Dracula,” some might be surprised to find the number of times it’s been adapted to film & TV. There’s a 1-hour version that aired on British TV in the 1960s as part of the Tales of Mystery & Imagination series, plus a Hammer movie adaptation called BLOOD FROM THE MUMMY’S TOMB. There’s even a version from 1980 called THE AWAKENING that stars Charlton Heston! I haven’t seen them, but imdb also lists a direct-to-video version with Sybil Danning and something from 1998 called BRAM STOKER’S LEGEND OF THE MUMMY that looks like it was made to cash in on the Brendan Fraser action/adventure THE MUMMY. My favorite Victorian mummy story is Edgar Allan Poe’s “Some Words With a Mummy” from 1845. He uses the same “revive-a-mummy-with-Galvanism” plot device, but he takes it in a more comic direction. Poe will never got enough credit for his humor, say I. A BLACK BULL NAMED MER-WER?!? Until just a couple of years ago I had a much beloved black cat whom I called Mer-Wer. His name was Mr. Whiskers, and for short, I used to write it MR. WRS. And how else would you pronounce that but Mer-Wers? over time, the final “s” just kind of dropped off. The extra layer of weird coincidence is that he was an ex-feral and didn’t get neutered until young adulthood, so he had the big, bull-shaped chest and head of a tom cat. I’m so glad someone else mentioned this Poe story. It’s one of my favorites. I’ve taught it to students in My American lit classes a couple of times because they never know what to do with funny, ironic Poe. The writers must just be pulling in Universal Mummy movie lore for Laura. In the 40s’ Mummy films, Kharis the Mummy is kept alive and walking with “Tana Leaves” which must be boiled and fed to him at regular intervals to keep him “Alive”. The Mummy has a Fez wearing assistant to do this, the role that Dirk is now filling. The good guys were always trying to get the urn with those Tana leaves and keep them out of the Mummy’s mouth, just like Quentin and Magda trying to get the urn with the flame. I’m guessing they just switched Tana Leaves with fire, since that was Laura’s deal originally in 1967. Oh! I didn’t make that connection. You’re right, it’s the tana leaves. Mnewer. Say it out loud. Does it sound like a pile of crap? As silly as a load of bull? They smoked pot in ancient Egypt as well, you know–and occasionally it shows. Mnewer. Fertilizer of the soul. Darn, I’ve checked every one of my urns, and I seem to be completely out of Tana leaves. Good thing I have a prescription. »Honestly, the more you learn about ancient Egypt, the sillier it gets.« I say that about every religion, LOL. Ever since I learned the Egyptians married their kin (like brothers and sons) as a matter of course, none of their beliefs have fazed me. Another story (one that’s easy to find) is SOME WORDS WITH A MUMMY by Edgar Allan Poe, one of his comedies. Instead of terrorizing the archaeologists, the revived mummy spends the whole story being condescending to them (of course, you have to read it for that description to make any sense). Danny, it is a great one today, log it for Best Of. There’s a literary connection to all of this Egyptian woo-woo, though I’m not sure that the DS writers were familiar with it. There was an occult society in England in the last decades of the 19th century called the Hermetic Order of the Golden Dawn, which performed rituals based on ancient Egyptian mythology. Among its members were Bram Stoker, Arthur Conan Doyle, William Butler Yeats, Algernon Blackwood and Arthur Machen. This fits in with Danny and Monsterkids’s comments about Stoker’s “Jewel of the Seven Stars.” The Golden Dawn was never mentioned in any of my 19th century English Lit. courses, but if the DS writers were poking through occultic fiction, they may have run into it, as I did, and thought, hey, this is different! 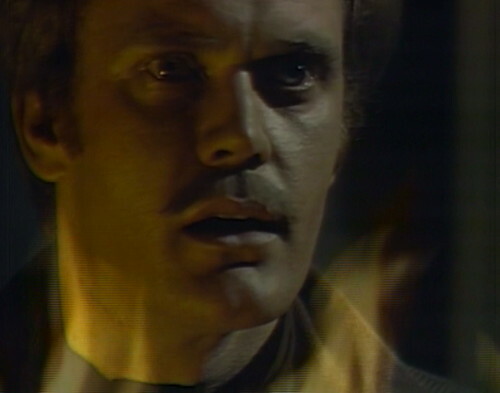 This episode was my first ever exposure to Dark Shadows and I think it was the first episode ever screened here in the UK. Channel 4 had the idea to celebrate 35 years of UK soap Coronation Street by putting on a load of individual episodes of soap operas and included in the line-up was this particular episode of DS! (Other US soaps included were Episode 1 of Dallas and a 1993 episode of One Life to Live) It aired at 3:00am on Sunday 3 December 1995. I watched it that afternoon, having recorded it on VHS, and was instantly hooked! Since then, I’ve collected the entire show on DVD and I’m still working through it!